Hottest new museum to hit USA is the Broad Museum in downtown Los Angeles! The architecture alone is worth the trip…a honeycombed boxy building tilted on its side filled with natural light. But, ohhh, the art… Blue-chip-masterpieces from the likes of Jeff Koons, Roy Lichtenstein, Joseph Beuys, Damien Hirst, Kara Walker, and Andy Warhol. And emerging artists as well! 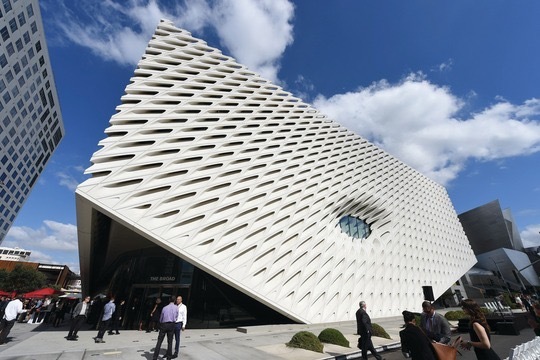 It is really the private museum of one of Los Angeles’ wealthiest men, Eli Broad. Together with his wife, Edith, Broad has been collecting art for 45 years, often buying works from unknown artists who are now superstars. A multi-billionaire who made his money in the unglamorous business of tract housing and insurance, Eli Broad says, “we want this to be a gift to the city of Los Angeles.” And sure nuff it is…the admittance to the museum is free and no matter how long the line to get in, no one is turned away. Video: Art in the Broad. Click here if you are unable to view the video. Always a great blog. Thanks for keeping me on the list. Lots of art in Scottsdale this time of year. Loved seeing this article about the Broad….looking fascinating. Thank you, Kirby. Can’t wait to see the Broad as well as the new “arts district.” This just whets my appetite! at the MOCA – which looks interesting. Museum and Salvador Dali. Good job! Thank you Kirby! Great information. Broadly speaking, the museum itself is an architectural marvel. 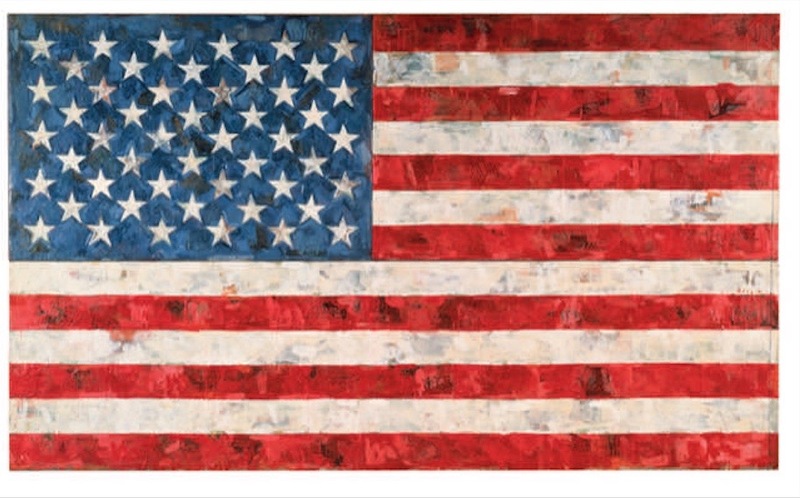 The art world is fortunate to have supporters like the Broads. Hopefully they will continue to collect, and contribute to their Los Angeles Legacy. Sounds likeCarlos Slim and the Sumaya Museum in Mexico City! Thanks once again Kirby. Even if I never make it up to the museum, I feel more in the know and have a sense of the place. What an achievement for the Broads and for the public’s benefit. Now I have a basis for some more discussion. The artist interviewed in the video seemed to applaud the focus of the collection, the ability to see in one place a particular artist’s evolution. The critic, on the other hand, mourned what he saw as the failure of the collection to broadly represent the evolution of contemporary art in Los Angeles. Sounds like a happy problem and an opportunity for a future museum. Always enjoy your features Kirby. Best wishes. 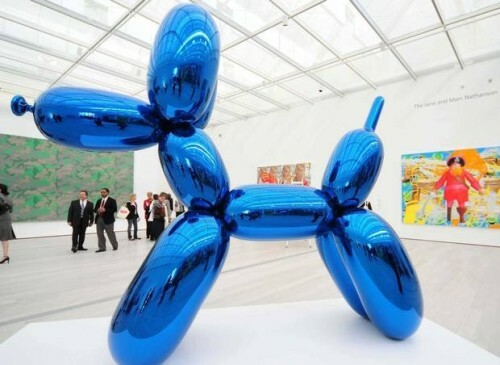 Did Jeff Koons do any oil paintings also ? Yes. His subjects range from toys to controversial nudes! or Join Kirby’s Art Blog! Outsider Art is Now on the Inside! Once in a Lifetime Art Exhibition! America How Great Thou ART! Artists to Watch in 2016! Andy Warhol…Why Is He An Important Artist? Art In 36 Seconds! “EAT AT ART” Award winning art video! Not to be Missed! Art in Alcatraz! 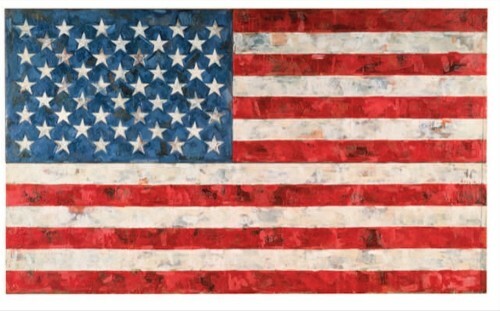 America’s First Family of Art! Plundered Art. Where Is It Now? Would YOU buy this painting? Virginia Woolf: Who’s Afraid of Art? Back by Popular Demand: Picasso, you rascal, you! Art is Everywhere, It’s Everywhere! 2 Art Installations You Won’t Forget! Art Oasis in Marfa, Texas! Hey, That’s not Fine Art, That’s Illustration! Which is the “Real” Leonardo da Vinci? Violence is on the Decline! 3 HOT, new museums you must see! Deconstructing the Myth of the American Indian!